Taylor Reach Team - Anand Morab | The Taylor Reach Group Inc. Supporting the customer experience for more than 20 years through innovative, leading edge, training development, Anand Morab is a customer satisfaction expert – highly experienced with program management, consulting and adult learning. Beginning his career as a sales and service engineer in India, Anand was able to use his technology expertise to innovate call center and customer experience training technologies. While progressing through a number of consulting and leadership roles Anand has driven change through implementing leading, knowledge management initiatives and internal communication systems and processes. In fact, working with Colin and the team, Anand built the training program for the outsourcer of one of the top media organizations in the world. Constantly upgrading his knowledge and confidence with emerging technologies in areas such as Artificial Intelligence, Machine Learning and Deep Learning with neural networks, Anand is pursuing leveraging these technologies into customer experience, call center and contact center domains. 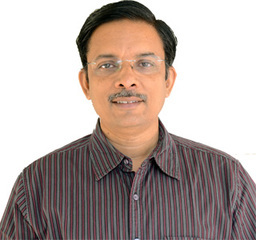 Anand holds a Bachelor of Engineering from Karnataka University and Post Graduate Diploma in Distance Education Design from IGNOU. Based in Bangalore, India, Anand delivers consulting services in Customer Service, Analytics and Call and Contact Centers to organizations throughout India.